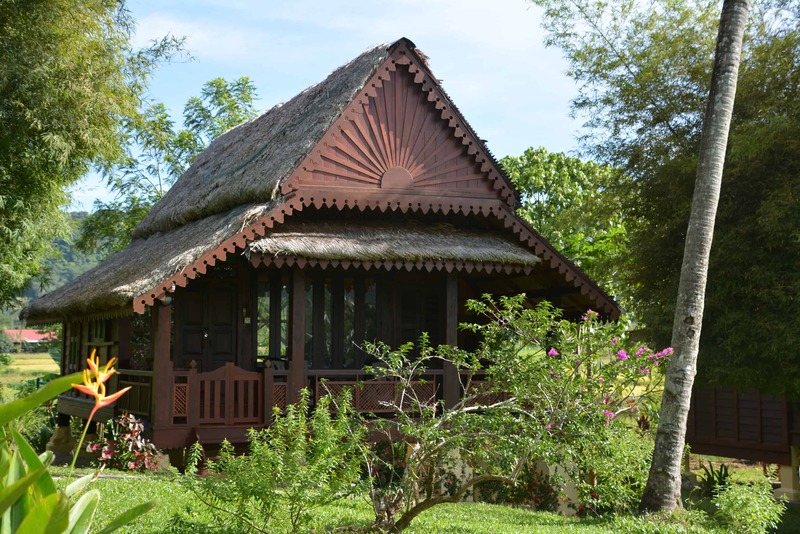 A fabulous, very old, authentic kampung house that is well over one hundred and eighty five years old. 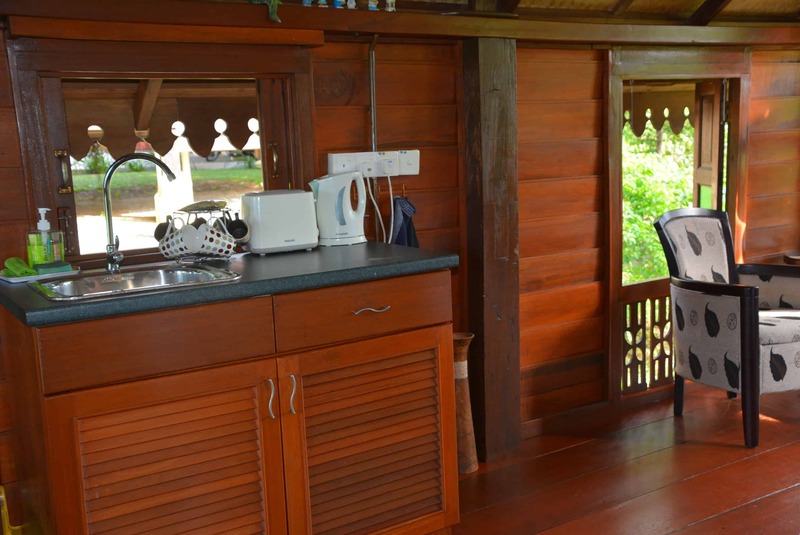 You can see that the main posts and beams have been hand-adzed with beautiful carpentry and joinery using very beautiful locally grown hardwood, probably Cengal Batu (stone wood). 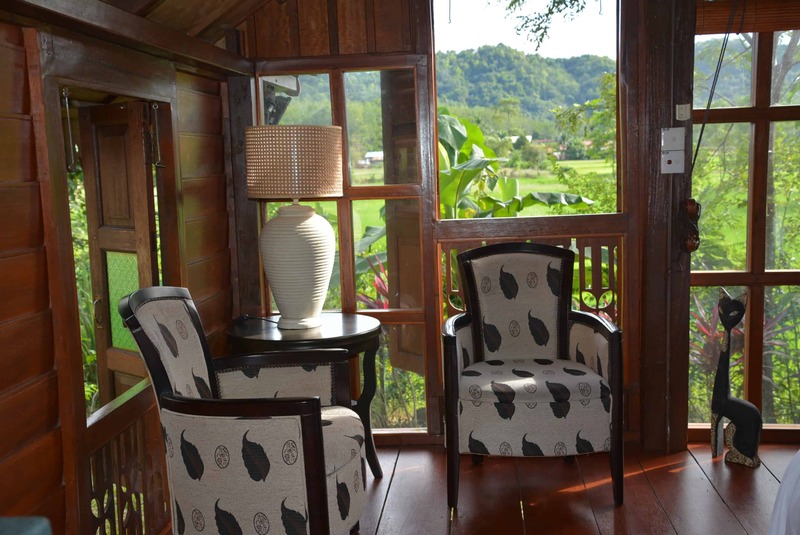 The ‘Paddy House’ is the perfect honeymoon cottage and is very cozy and charming. 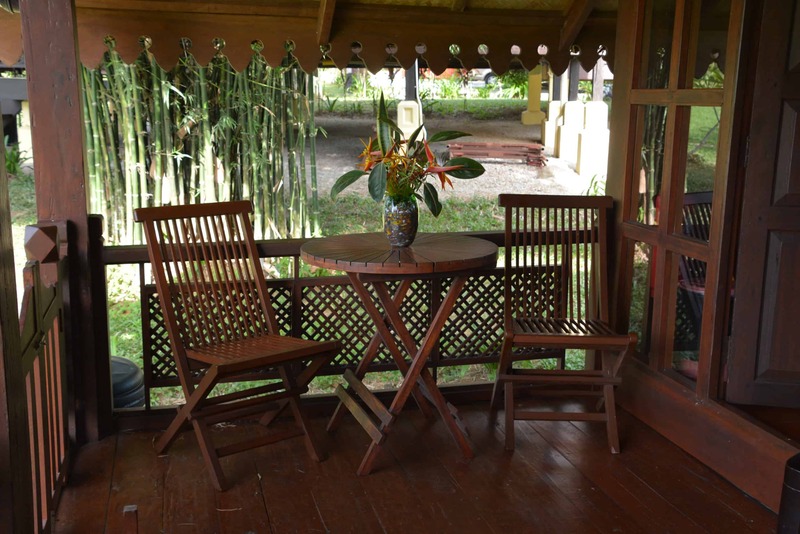 This house is perfect for two people. 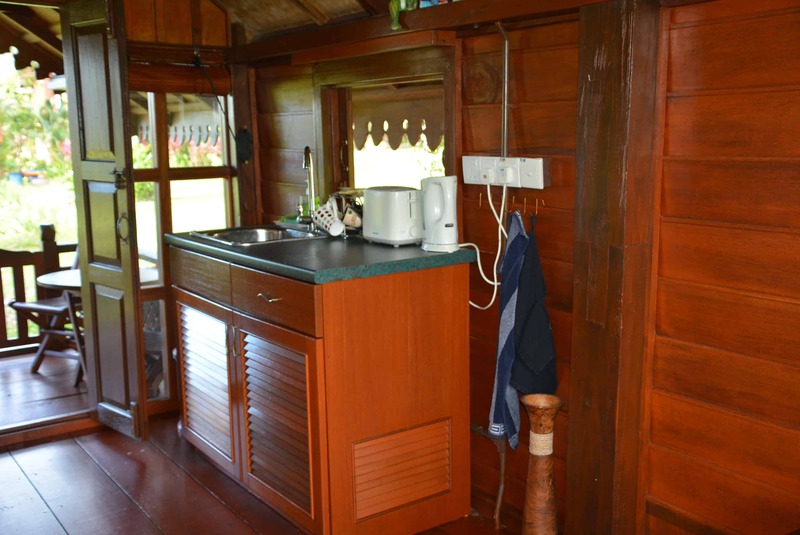 It has a double or 2 single beds and a well-equipped kitchenette complete with a ceramic cook-top. 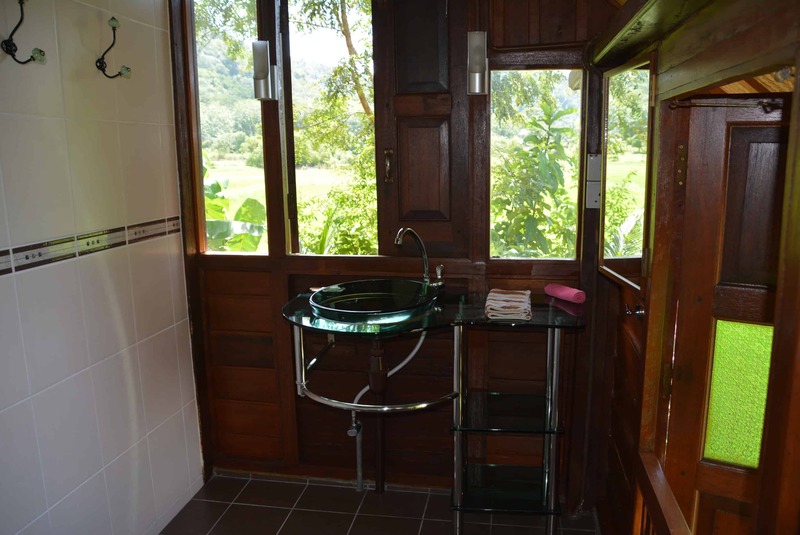 The bathroom was completely renovated late in 2016 and re-tiled. 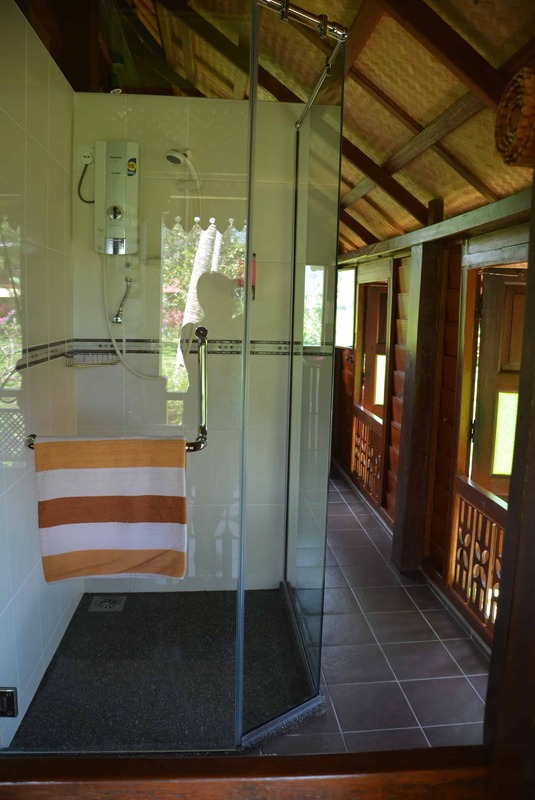 It features a modern glass-enclosed hot shower and in a separate adjoining room, a changing room, hand-basin and toilet with toilet shower. 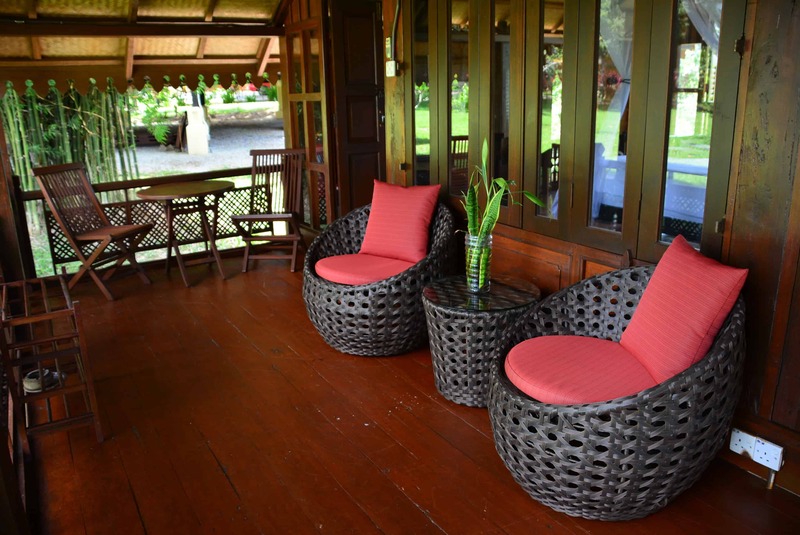 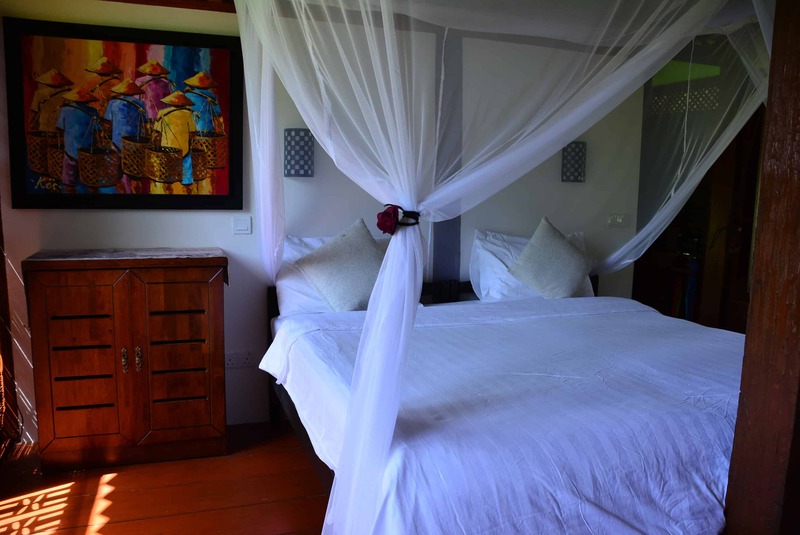 The Paddy house too is equipped with a small refrigerator, cutlery, crockery, bath towels, beach towels and linen. 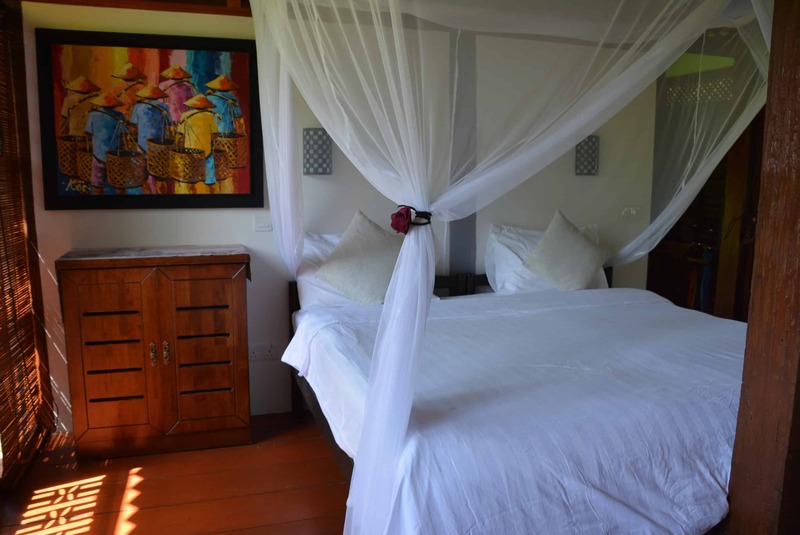 Air-conditioning is installed and is available as an optional extra but is rarely needed due to the very high ceilings, natural ventilation and ceiling fans providing a most comfortable environment. 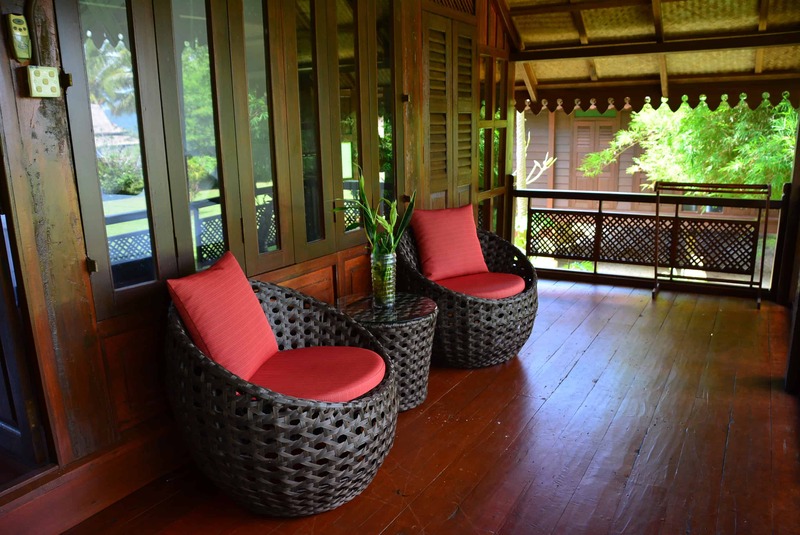 From the beautiful veranda with an outside table and chairs our guests can enjoy a magnificent view over the paddy fields and the mountains beyond.